Weber Rescue UK Ltd are giving members of the UK & Irish Fire & Rescue Services the opportunity to attend the world’s largest training event on technical rescue, Rescue Days. 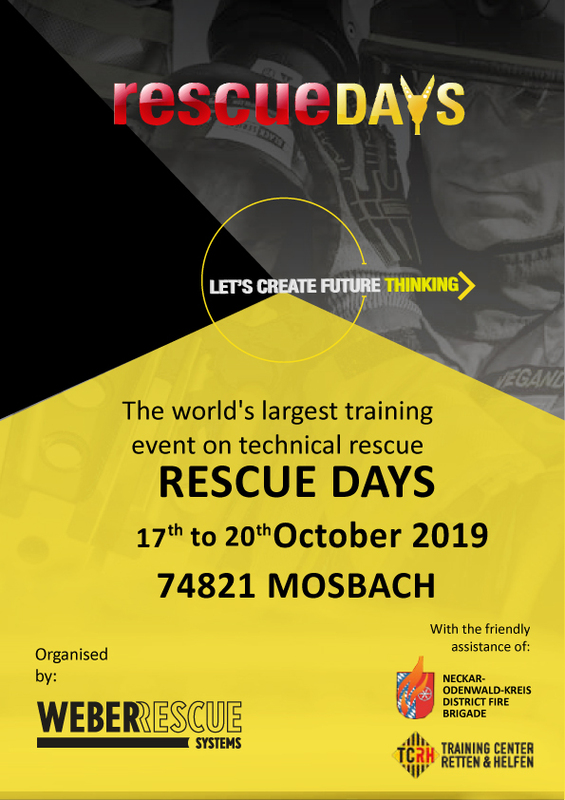 Organised by Weber Rescue Systems, this year’s event is due to take place in Mosbach. You can find some initial information by clicking here.